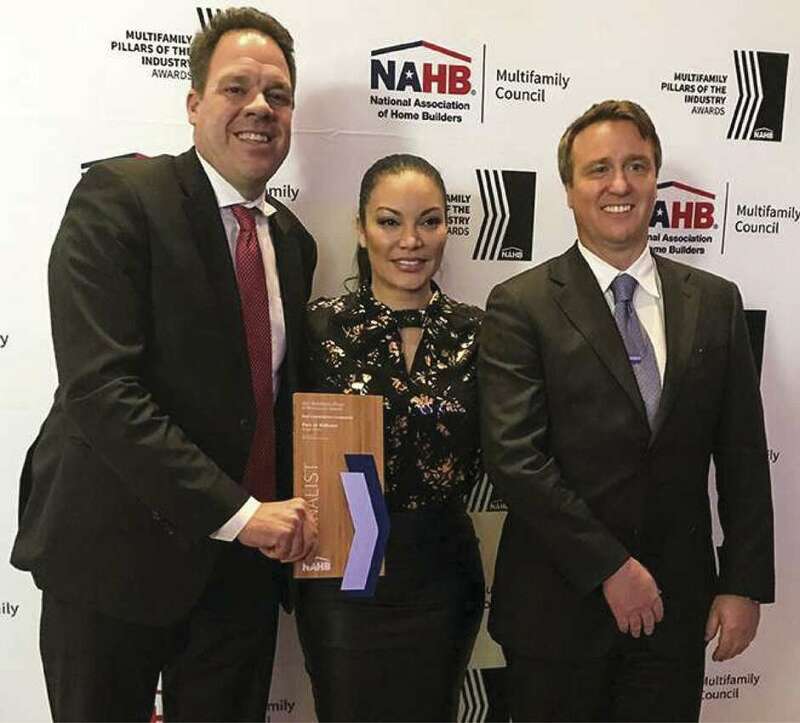 Ben Lemieux, chairman of Surge Homes, left, and Louis Conrad, president of Surge Homes, right, are congratulated by NAHB Awards emcee Egypt Sherrod. Houston’s high-rise condominium market is about offering the best of the best for a living experience in a luxury setting. Recognition by peers and national building organizations is evidence these buildings are built to top standards in the industry. Getting awards and recognitions is one thing, but what do they really represent for the buyers? It’s about the quality of construction, design and amenities that can benefit the buyer. Finding the right approach for homeowners begins with highlighting the home. The Mark Williams Design Associates (MWDA) was recognized for its work with The Wilshire in the River Oaks District. The American Society of Interior Designers-Georgia Chapter named MWDA the ASID Design Excellence Award winner for its work in the Model Home category. The Star, one of Houston’s latest downtown developments, was named one of two finalists by the Houston District Council of the Urban Land Institute 2019 Development of Distinction Award in the For Profit-Large category (projects over 100,000 square feet). The winner will be announced Jan. 29. The ULI-Houston recognizes developments and open spaces that demonstrate best practices in design, construction, economic viability, healthy places, marketing and management. Surge Homes also has been recognized for its excellence in the condominium market and recently was inducted into the William S. Marvin Hall of Fame for Design Excellence by Builder magazine. Their Parc at Midtown, a multi-phased mix of condominium concepts, was selected as a finalist for a 2017 National Association of Home Builders Award in the category of Best Condominium Community. 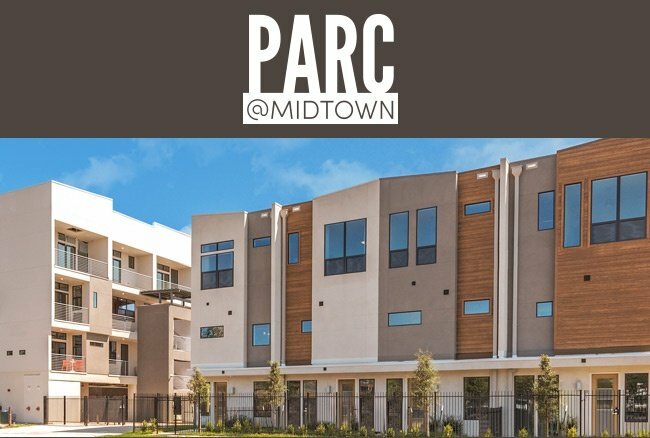 Parc at Midtown, 2401 Crawford Street, provides new condominiums, Sky Townhomes and townhomes in addition to penthouses with large terraces and panoramic skyline views. In this gated community, residents have an exclusive 5,000-square-foot private park and designated pet areas. In 2016, Surge Homes was recognized as Houston Agents’ Choice Award Developer of the Year and selected as one of five national nominees for Construction Dive’s Homebuilding Innovator of the Year. Surge Homes leadership team, Ben Lemieux, Louis Conrad and David Modlin, provide more than 28 years of experience in real estate development, management and consulting. Surge is owned by Lemieux and Conrad, longtime business partners and friends since college. These projects are the collaboration of insightful research with focus groups as well as a large team of engineers, construction advisors and architects to ensure that homeowners find the home of their dreams, Lemieux said.